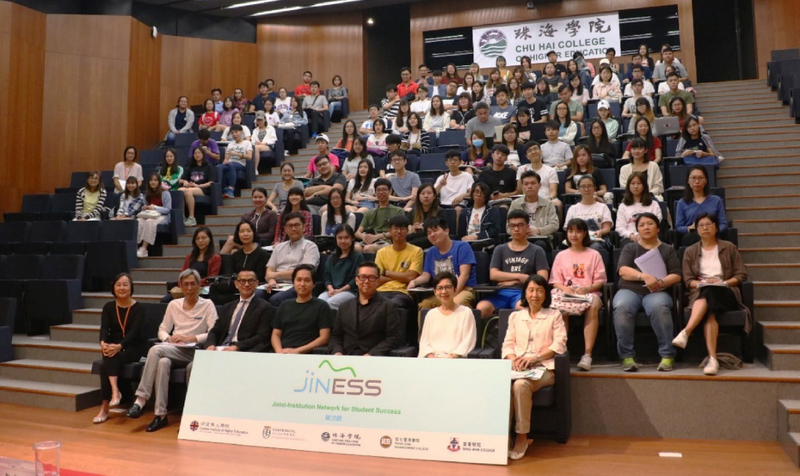 On 3 October 2018 afternoon, the JINESS has invited two speakers to deliver a career talk to students and staff from the five self-financing institutions (Caritas Institute of Higher Education, Centennial College, Chu Hai College of Higher Education, Hang Seng Management College and Tung Wah College). The talk was held at the lecture hall of Chu Hai College of Higher Education. The first speaker, Mr Rex Ma with sound background on IT, marketing and digital communication focused on digital communication and marketing. The second speaker, Mr Stone is a blogger, a KOL and IT profession. 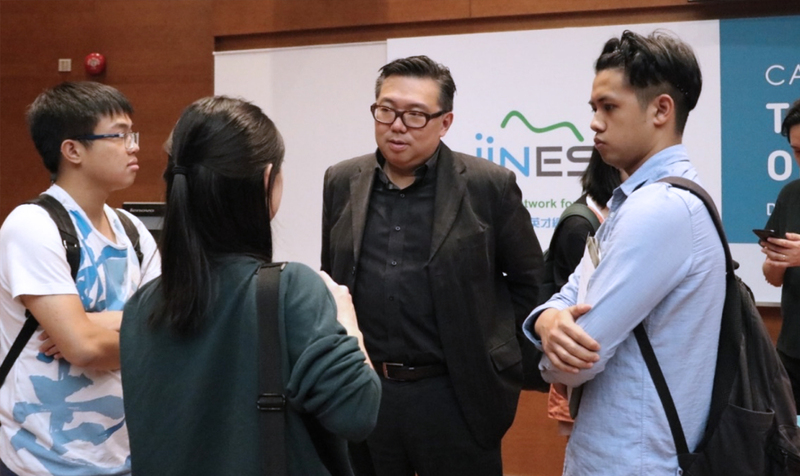 He shared his views and experience on how to equip oneself for the digital age. 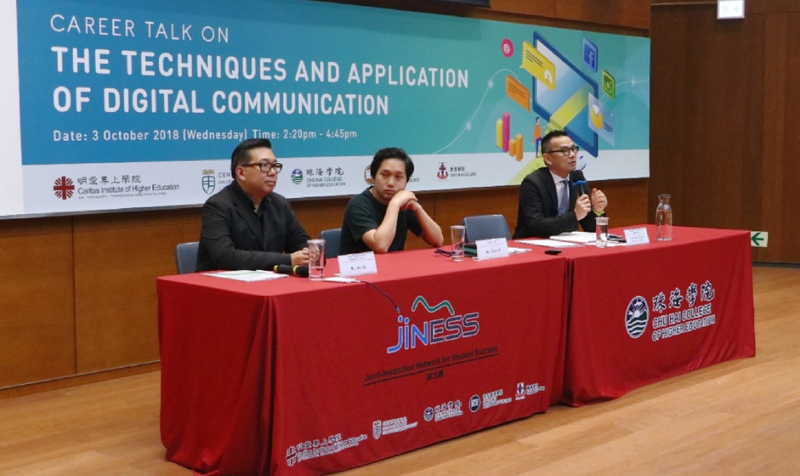 It was a golden opportunity for the students to learn about the career in the digital communication and how to prepare themselves for working in this creative but challenging industry. 126 students and staff attended the talk and the feedback was positive. Some students chatted with the two speakers after the talk was over. 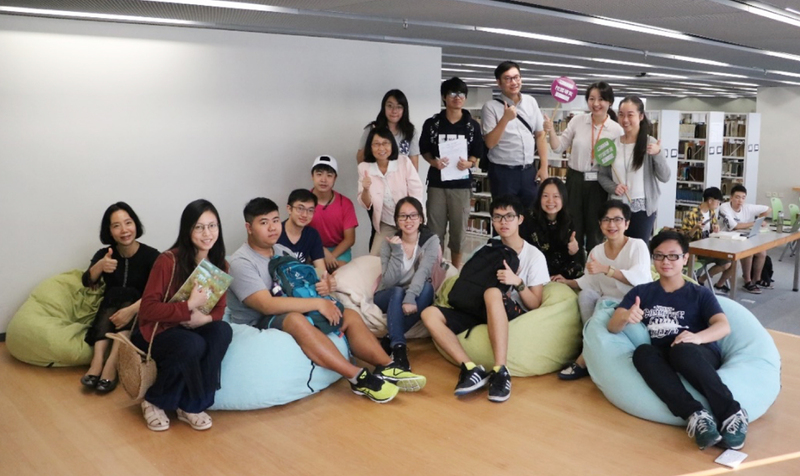 Upon the completion of the talk, a campus visit was arranged for participants. The students and staff had an enjoyable and inspiring afternoon.